We offer Chinese cabbage all year round. Beginning from May till October-November we offer this product from fields. 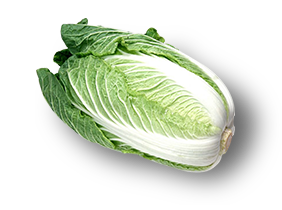 Beginning from late autumn Chinese cabbage we sell is taken from climate-controlled warehouses. Packaging: 10 kg carton boxes.